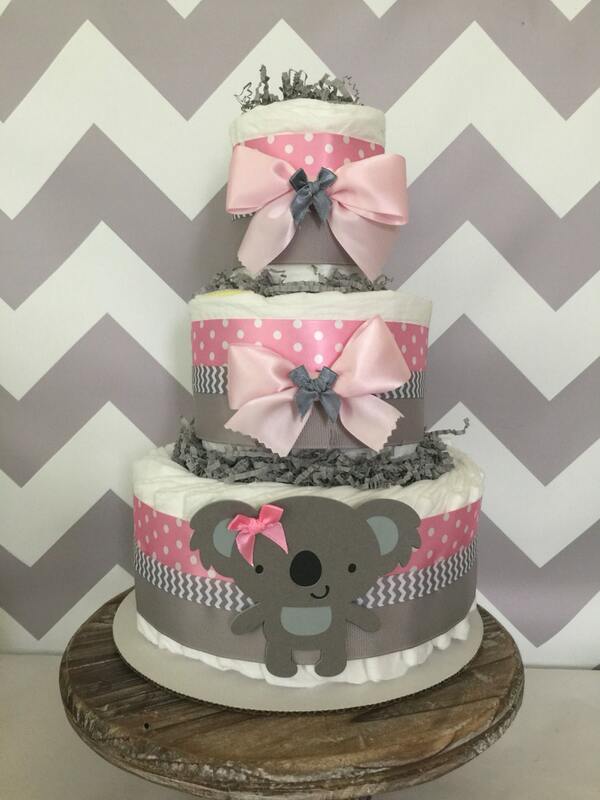 This adorable Koala Diaper Cake is decorated in pink and gray ribbons and bows along with a handcrafted cut out. 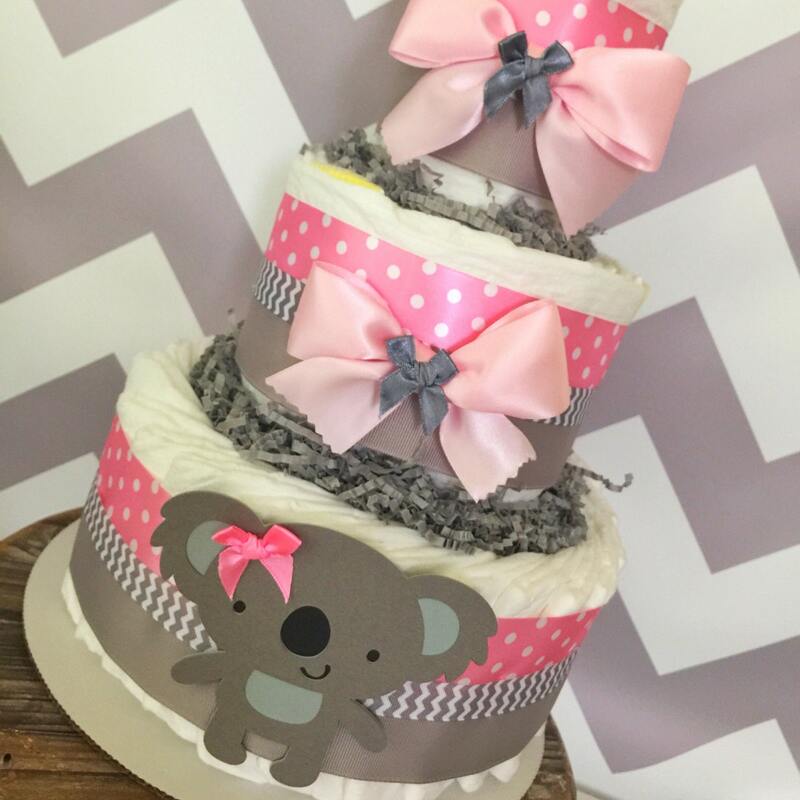 3 Tier Diaper Cake measures approx. 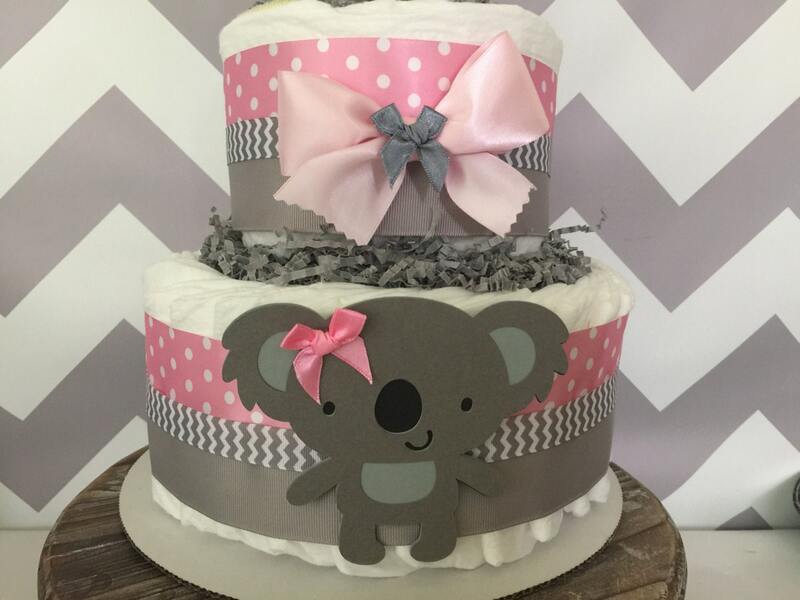 10 inches wide by 14 inches tall and includes 40-45 Pampers Swaddlers Diapers in size 1. Arrives fully assembled and ready to display! She made exactly what I wanted. Beautiful! 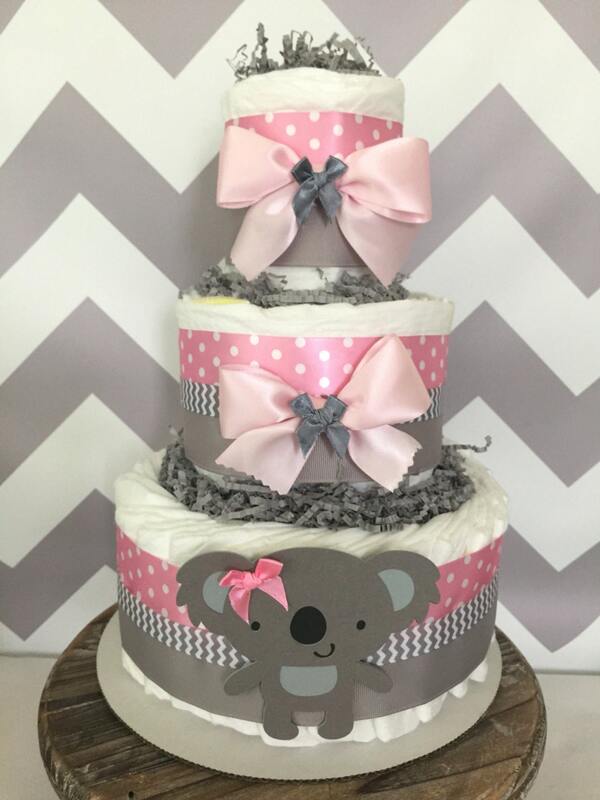 My daughter loved the Koala diaper cake! It was so cute and exactly what I wanted! Thank you! I will certainly recommend you to my friends!